For unforgettable surfing adventures, Mojosurf offers guided tours of the North Coast of NSW, Australia, where you’ll discover some of the world’s best waves. Learn how to surf as you explore the spectacular coastline. You’ll meet new friends and enjoy beach parties. Tours and lessons operate from Sydney to Byron Bay. Join five- to 14-day guided surf adventures that travel along the gorgeous Legendary Pacific Coast driving route to Byron Bay. With Mojosurf, you can also enrol in surf camps. Surfboards and wetsuits to fit all sizes are provided. 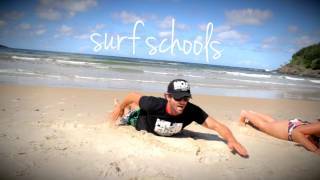 Mojosurf also offer surf lessons in Sydney. There’s return transport from various locations in the city to an uncrowded surf beach. You’ll enjoy lunch on the beach, too.